So far, green tea more commonly known beneficial for health. 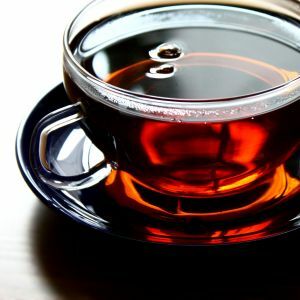 You need to know that if you drink black tea regularly you will also feel that efficacy for the health of blood vessels. Just like green tea. Black tea also contains of antioxidant. The type of antioxidant contained in tea are polyphenols. Polyphenols are prey the free radical cells that damage our body cells. Both black tea and green tea, have 8-10 more than the amount of polyphenols found in vegetables and fruits. Tea has a positive correlation as cardiovascular disease prevention. Tea may reduce atherosclerotic plaque. Especially for black tea, a study published in the medical journal Circulation found that black tea is able to restore endothelial vasomotor dysfunction in patients with coronary heart disease, thereby reducing the risk of heart attack and stroke. According to research, flavonoids in black tea are able to nourish the arteries.